Innovation has been so far one of the engines that have allowed the increasing shift of the beer scene in many countries. A change that has certainly found an inspiration in American "craft" breweries, but that has been giving very good results to consumers of beer so far in Europe, especially in emerging markets like ours. For the present occasion, I am about to describe briefly the impressions I had while drinking the beers of three different breweries that since their inception, although in different points of time, have clearly opted for innovation. To explore, each one in its own way, the limits of beer and the interpretation of its styles. Back to The Session. This time the host is Jay Brooks, from this Brookston Beer Bulletin, who reaches his "mostest favorite" time of the year for seasonal beers and hence proposes to write about "Holiday Beers". So here we go. Christmas holidays, that time of year when for some strange reason all local hopheads rush to buy and drink, for a few days, malty, alcoholic beer, with ginger, and even star anise. Yes my friends, star anise. The great power of marketing. But today's post is not intended to be another protest. Otherwise, my intention is to take a brief look at the short, young, and yet so distant history of our local Christmas beers. "Until 2011, just four different Christmas beers were produced by local microbrewers"
It was at the birthday celebration of Xavi Serra, manager at Cervesa Guineu, that I met Jesus Díaz Meco, sales representative of Caves Nadal, a family business that produces wines and sparkling wines in the small village of Torrelavit (Alt Penedès). 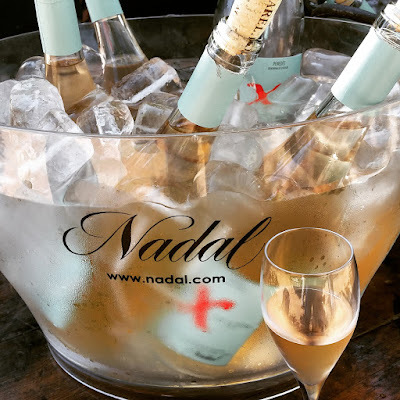 After having a good time eating and drinking, for once, wine instead of beer, Jesús was kind enough to invite me to an annual celebration that is held in the property of Nadal: Tastos i Maridatges 2015 (Tastings and Pairings). It was a great event. Both white wines and sparkling wines were lovely. Plus, the event was a real treat for the good organisation, the delicious food available and the privileged environment provided by the courtyard of the property. "We lack specialty, but above all we need to believe in what we're doing; and to transmit this confidence to the market"
For many years now, I have had a mostly-humble approach to life in general. That's something that has been reproached to me as a flaw more than once, especially in the workplace. But I am stubborn apart from mostly-humble, and anyway I have also become of age and I am not planning to change the way I am. Still, the truth is that I have been inhabiting this entertaining and multi-coloured beer microcosm for a long time now, and my self-esteem has grown during this period. In fact, I'm starting to be smug about it. I don't know if you get what I mean. 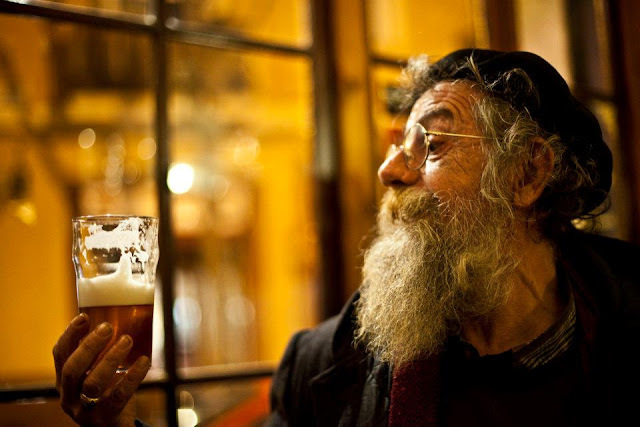 "Let us all drink more beer, please"
Let's continue with the series of posts dedicated, as its name suggests, to people who I have had the occasion to meet in the beer scene and that, for one reason or another, I admire. Today it's about a person I met two years ago in Holland, during the celebration of the Borefts Bier Festival 2013. We were both in front of the Savoy Mont Salève stand and quickly began a passionate conversation about beer: festivals, personal tastes, trends in our respective countries, and so on. " 'Balanced' is more than often an eufemism for bland and boring beer "
The Kinks is one of those rock groups of the early 1960s that were part of the famous British Invasion: a phenomenon in which various British cultural expressions, mostly music, gained enormous popularity in the United States. It would be foolish of me to venture and say if they profited or not from the utter success of The Beatles, but in any case it is clear that while the former remain world famous almost 50 years after dismantling the group, the others are quite unknown to the vast majority (disclaimer: here in Barcelona). Or not quite. "Ray Davies imagined the protagonist of Sunny Afternoon sipping a Stella Artois"
José Benedicto, a fellow beer blogger from Spain and prolific rater at Ratebeer, summons the digital beer enthusiasts once again to celebrate the International Stout Day and share our impressions of Stouts drunk in the context of this event, both through blogs and social networks. Last year I commented that I couldn't see the motivation behind this event, but in this year's official website the organisers added a short description of what is sought, supposedly being the mere fact of celebrating a popular beer style like Stout. So on November 5th I joined the party. I barely had had no time to digest new beer trends according to Draft Magazine, after the conclusion of the 2015 Great American Beer Festival, when I found myself face to face with one of them: a Lager aged in Scotch whisky barrels. Daring, but it certainly will give more prestige to brewers who are able to tune the beers that follow this line. 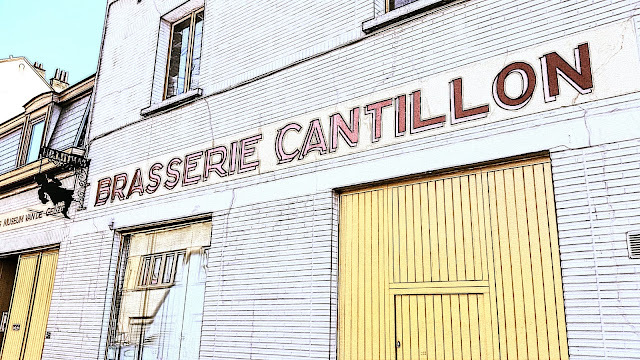 Beside it, a much more present trend: a contemporary Saison, where in addition to its own characteristic yeasty profile, hops play a quite remarkable role. Finally, one of those styles that locally seemed grounbreaking just four years ago, causing lots of excitement among beer enthusiasts: a Black IPA, which shamelessly continues with that oxymoron of a popular name. Believe it or not, the BBF team has been working for months already, on what will be the fifth edition of the festival: Barcelona Beer Festival 2016. Following our main aim to spread the culture of quality beer among the public, our efforts focus on preparing an inclusive event for everyone to enjoy, as always collecting the valuable feedback we receive from our demanding but appreciative visitors, who always look joyful in the pictures. We have done lots of work, but we still have plenty of things to do. For now, we can already announce that we have the definitive venue and dates for the festival. And yes, I guess we can also announce a new huge newness for this year: the Barcelona Beer Challenge. "Today, terms like "craft" are not sufficient to position the quality of the product"
Many months ago I received some criticism for sharing in social networks a picture with which I expressed my joy for having found a five-pack Chimay Bleue with its respective gift chalice, at a price that seemed to amply repay my investment in money. The complaint was motivated by the fact that I made the purchase in a supermarket, causing therefore a disservice to small businesses, according to the offended parties. I did not want to create controversy, I don't like yellow blogging, so the matter was settled quickly. Personally, while I feel more aligned with the need and the important social role of small local shops, I think that personal circumstances must not be ignored before making any judgment. Let's not forget that this is a perfectly respectable consumption decision. "Beer retailers should play the role of curators: create a differential offer according to their judgement of what's best for their customers"
On a day like today, I could not go to sleep without first opening a beer and spend some time doing these two things that I love: thinking and writing. I think, about earlier experiences and the significance that the individual and collective action of people can have. 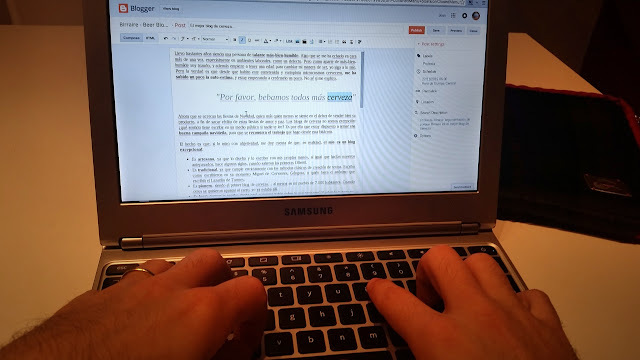 I write, in memory and in honour of you, Steve, that have left us like orphans: all of us those who, directly or indirectly, have been your pupils. I remember the day I met Nereo Garbin. We had arranged to meet at the offices of the Instituto de la Cerveza Artesana (ICA - Institute of Craft Beer) in the neighbourhood of Poble Sec, also with Daniel Fermun, whom I had previously met in Madrid, at the extinct pub Animal Picar & Beer. We had a long talk in which we could know each other, exchange views on the local beer scene and drink some beers. They told me about their long career in the brewing industry and their future projects. 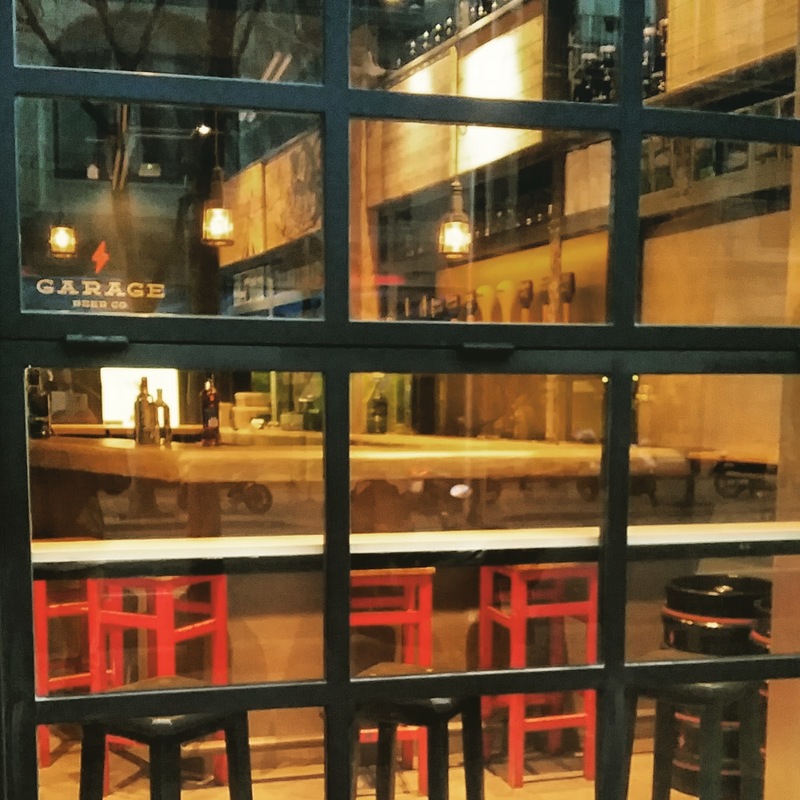 They showed me a black, greasy store in the basement of the same building, in which a car workshop had operated in the past, and where they planned to locate their brewery. "Lots of work ahead! ", I thought. "Abirradero is the retail extension of ICA, with 40 rotating beer taps and a well-equipped kitchen"
What's up in Northern Ireland? I still hadn't had the chance to get myself any beer from the rising scene in Northern Ireland. It was the same person who had enthusiastically told me about what was beggining to happen up there, fellow blogger Steve Lamond, who at the last edition of the European Beer Bloggers and Writers Conference in Brussels brought me three bottles from a young cooperative microbrewery based in Belfast: Boundary Brewing. "Craft beer is about people. Craft beer is about culture. Craft beer is about exchange of ideas"
These were the words that Kjetil Jikiun pronounced in his intervention at the official video of the Barcelona Beer Festival 2012. A true declaration of principles. 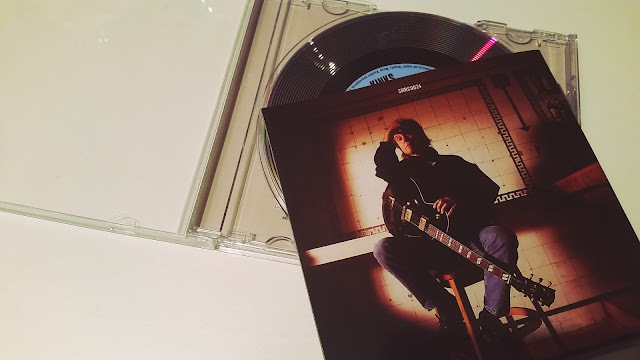 I had no chance to talk to him in that distant first edition of the festival, but we could engage in small conversation at a presentation in BierCab, around two years ago. 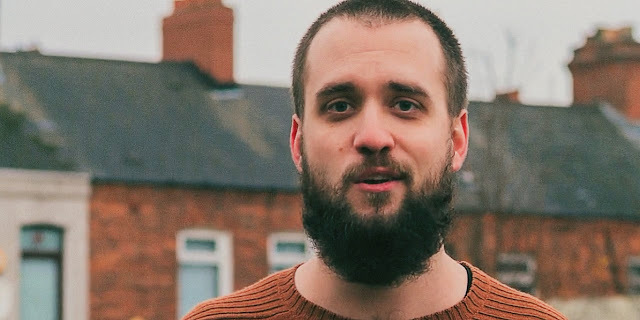 Those who knew him personally had already told me so, and it was exactly what I felt: a cordial and extremely humble person, willing to share every single detail about his beers, while showing kindness and self-confidence with his words and gesture. Summer is almost over. Looking back to the experiences I have had during these melting-hot months, I can say aloud it hasn't been just another summer. At all. It started with the latest stages of Mrs. Birraire's pregnancy, followed by the birth of my baby daughter on August. It has indeed been an emotionally intense period: full of uncertainties, but with lots of calmed and quiet moments. It has actually been so quiet that I haven't even had relevant beer stories, beyond every single beer drunk. Well, to say the truth, there might have been a couple of worth-writing tales. "An unexpected occupant had helped itself to a second home, to rest after all the hard work throughout the year"
Belgium. 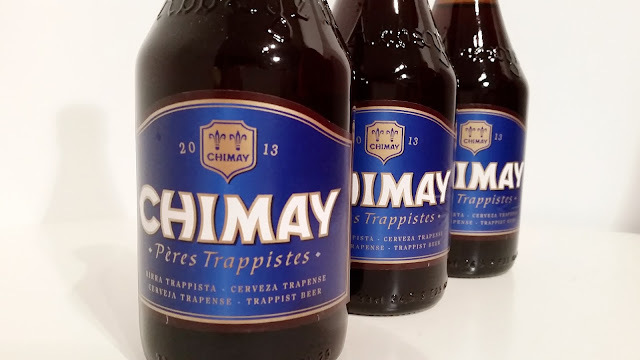 Surely a great part of those of us who nowadays love beer above the average started our affair with those Abbey and Trappist beers that one could find in supermarkets and some bars. Same places where 15 different beers on bottle was regarded as something truly ground-breaking. Since then though we have experienced the rising of our local microbreweries, the influence of the American craft breweries, the revolutions, the punkies and the regrettable IBUs war. All this has lead to an excessive obsession with one of the four main ingredients in beer. In beer circles, hops have ousted beers with a sweeter than bitter profile, as well as most of those with a nice and complex yeast influence. Let alone those light and subtle bottom-fermented brews that no one seems to be paying much attention nowadays. There was no date, nor even a medium term intention. There was an obvious disagreement about the best time for it, though, It was in my previous life in Madrid when it was first brought up to me. Let's say I was not at all receptive. But a couple of months later, in the little village of Saignelégier, I jumped right in when I summoned the celebration of that same future event as a reason to convince Mrs Birraire that buying a 1.5 liters bottle of beer was completely necessary. Effective move: after sampling some beers at the little bar of the Swiss microbrasserie, I left the premises with a nice box full of BFMs. 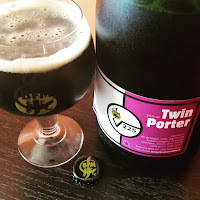 And a smart magnum bottle of √225 Twin Porter. I was unsure whether it would be appropriate or not to wait all that time before drinking it, but I made a mental note to renegotiate the deal with my wife some months after. I couldn't wait for a little one to be born. No, I've never been very keen on those "best beers to try before you die" compilations. 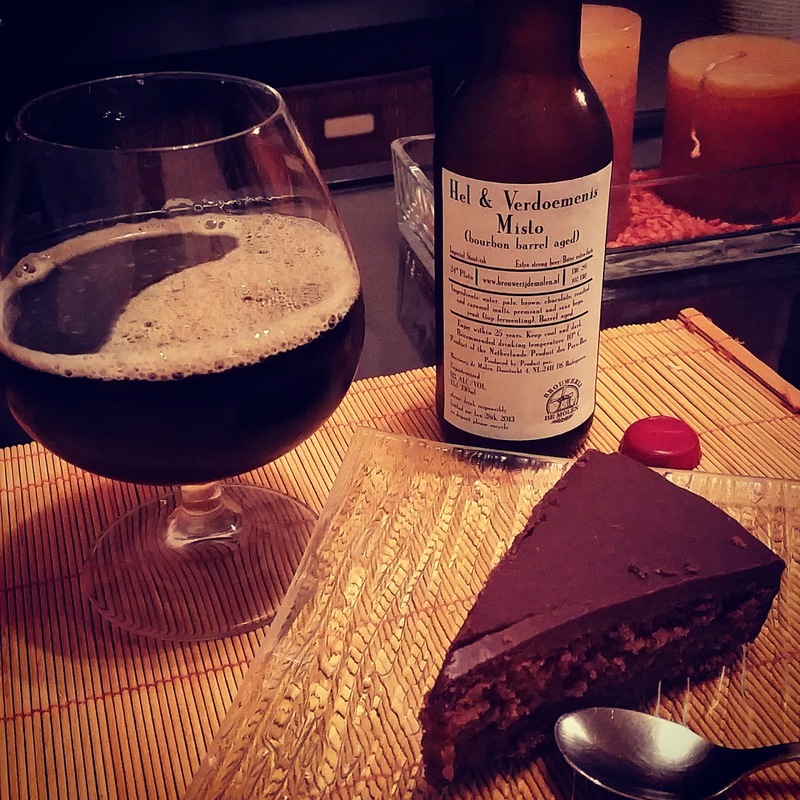 Nor do I like to publish beer ratings or rankings: the greatness of beer depends on far too many things, and I don't really want to give my tastes some kind of definitive superior status. But even when I frown and permanently wrinkle my brow at this kind of stuff, I must admit that it sometimes can be useful. Let's put an example. 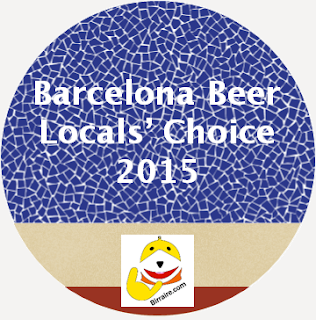 Imagine you're travelling to Barcelona -yay!- and you want to try some of the local beers on offer. Maybe you're one of those adventurous drinkers who would try anything they find. Good luck, lad. Or, maybe you'd love to have some local perspective, suggestions on which beers you should really try to find and drink, given that your time, money and liver productivity are actually finite. Don't mistake my words: I like to try most of the beers I come across. Still, I've always been critical with those brews that seem to just want to stand out. 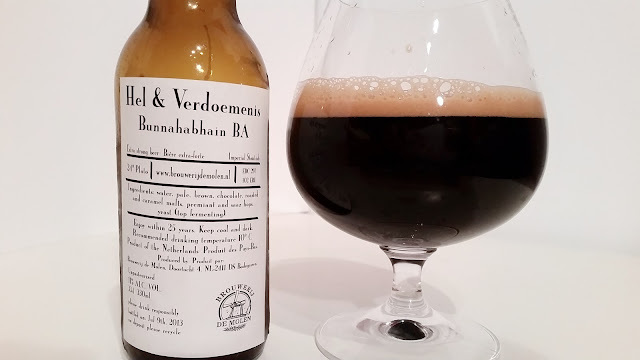 Even when these experimental beers are really appealing (my paradigmatic example is Crème Brûlée Stout by Emelisse), I'm still more on the side of -put as many quotations as needed- "normal" beer. And for brewers to have a core range of beers (particularly, I think it also has some strong business reasons). But one day you grab a beer, uncap it and pour this quite malty IPA that has yet another special twist. Among its ingredients there's pine resin. 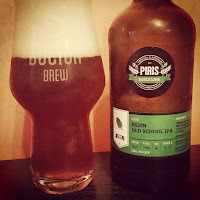 I had Piris Resin Old School IPA with two of the people in charge at Instituto de la Cerveza Artesana, where this beer is brewed. I also drink one at home, on a warm summer night. Leaving apart the evolution it's had in two months, the sensation is exactly the same. Today I start this new section called People. Any guesses on what's about? Yes, it is about people. More specifically, it is about those who I've met because of beer; individuals that do fascinating stuff and that have somehow been important to me. 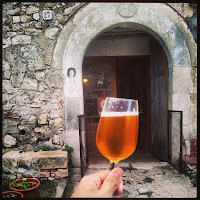 I'm glad to start with the following interview, that I was asked to write for the X edition of the local beer festival that started it all: Mostra de Cervesa Artesana de Mediona. The interview will be published in Catalan in the official booklet of the festival, but here's a translation. Let's continue with the series of posts about my trip to Wroclaw and its great beer festival. 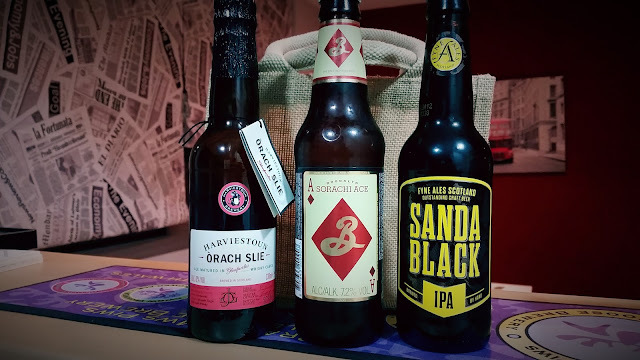 As I mentioned on the post I announced my assistance to the Wroclawski Festiwal Dobrego Piwa (WFDP), the organisation sent me a package with three beer bottles, along with other interesting items. I received it two days before the trip, so I couldn't taste anything beforehand to tease my palate. But no problem, I did it the other way around: once I got the picture of the state of brewing in Poland I calmly sat with these beauties to reflect on them with way more context. So a couple of weeks after my experience in the Slavic country I grabbed one of the glasses gifted by Doctor Brew guys during the WFDP and proceeded to taste those three beers, which were conveniently presented on 50cl. bottles. That's not common down here -we mostly get 33cl. bottles-, and it is something that I would really appreciate to see more often, as it responds better to my consumption habits. Taking advantage of a long weekend provided by the celebration of the International Workers Day, I used the invitation received by the organisation of the Wroclawski Festiwal Dobrego Piwa (WFDP) to assist the sixth edition of this popular Polish beer festival. It would give me the great opportunity to have a first-hand experience with the new beer scene in Poland: so young, so bright. I had read few things about their brewing industry, but I was forewarned of what I'd find during my trip. So as I was driving early to the airport on April 30th I knew I was about to fly to a city that would amaze me as a beer aficionado. Besides, it was another nice chance for me to learn new things about life from the locals and their culture. Sounded like a plan. 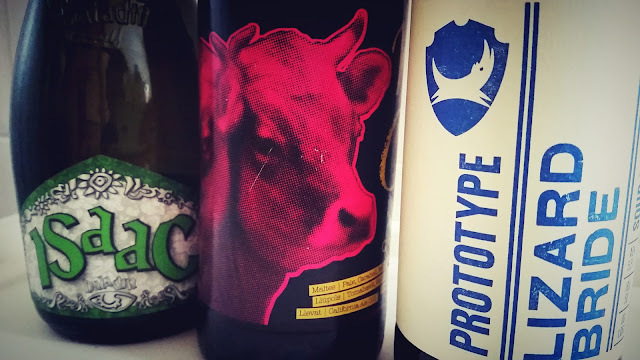 After two sessions without making my contribution, I come back from other beer duties to write about the present topic for the Beer Blogging Friday of May: Localising Mild. This time is Alistair Reece (from Fuggled) that suggests fellow sessioners to ponder on the features of Mild Ales across the globe. 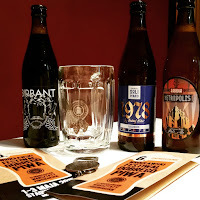 To write this post I thought I'd check my beer database to make sure I didn't forget to mention any locally brewed Mild Ale, but it would have been hard to miss any of them: only four beers labelled as Mild have been brewed at this part of the world, all of them by Catalan brewers. 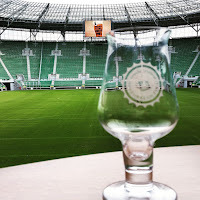 The day's arrived, and early today I fly to Wroclaw (Poland) to attend one of the most massive beer festivals in Europe: the Wroclawski Festiwal Dobrego Piwa, or Wroclaw Good Beer Festival. 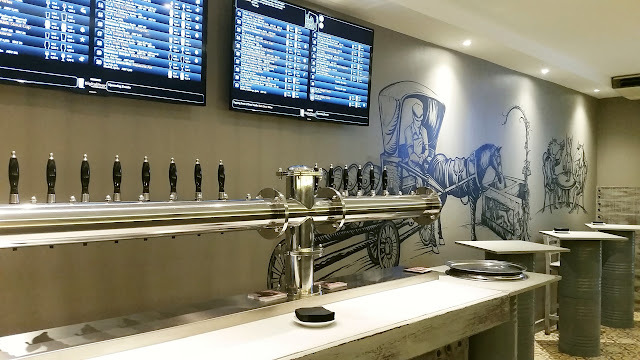 It's a great oportunity to learn about a beer scene that you seldom hear or read something about, not only about their beers but also about the general development of the industry. As for beers, I've known Zywiec (specially their Porter) for quite a long time. Lately, some new Polish brews have appeared in our shops and bars, as well as on tap during the last edition of the Barcelona Beer Festival. We are mostly talking about Browar Ninkasi, but specially about Browar Pinta, a brewery that has won some local drinkers' palate lately with their reproduction of the most varied styles. Every year has its special moments. Some are totally connected to a specific year: a good friend's wedding, small or big achievements by close people, that special trip you had long been anticipating, or other instants that come across you without further notice. Some might even mark an important life turning point. But there's also those recurring moments that happen during a short or long period of years. This weekend I had one of those. I meet my sister in a family reunion after her last trip to Japan. I see that she's carrying a bag with two beer bottles, and I feel a mix of excitement and fear: two easy-to-find beers like Sapporo or Kirin could have travelled 15 long hours by plane to be barely enjoyed by an ungrateful beery soul. Then I realise I kind of know the beers, but not quite. My little japanese souvenir consists of a Grand Kirin and a Grand Kirin Hop Fruity. Doubtlessly, a response by the Asiatic giant to the new trend of beers that has also docked in that faraway island. It is high time the RoundUp was posted. 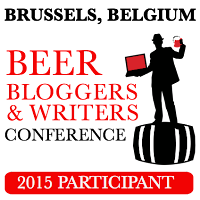 I was asked for a little additional time, but I think 2 weeks is more than enough, so here we go with the brief summary of each of the contributions posted by beer bloggers from all around the globe. Before that, I just wanted to express my gratitude to every article published. It has given me a fantastic view on how Beer Festivals are lived by beer enthusiasts in many different countries. So the main prospect why I wanted to host the 96th Session has been satisfied. A priori one could have easily predicted that drinkers from countries with a time-honoured brewing tradition would be less excited than the ones living in places that until recently had almost no beer offer at all. But borrowing Stan's words "context always matters", and it has been a great occasion to learn about different cultures and individual thoughts. The Session #96 - Festivals: Geek Gathering or Beer Dissemination? Today's Beer Blogging Friday, so it's time to post my contribution for The Session, an initiative by Stan Hieronymus from Appellation Beer. The current one is the 96th edition, the third one in which I take part. You can check out my past sessions here. This time is a bit more special for me, as I am the one hosting the current call. I had attended two different Welsh beer festivals during the summer, and after my vacation I was pondering about the role that these events play on different beer scenes. It was quite clear that it was not the same in Swansea than in Barcelona, but then again even the two festivals I attended while in the UK had a completely different approach. So I decided to write an email to Jay and Stan to suggest a topic for The Session of February 2015: "Festivals: Geek Gathering or Beer Dissemination?". You could say it was an intense Friday. At 4:30 am my computer was already on at full throttle to buy some time. I had 2 recruiting interviews ahead and an important report to finish (and to start). The theoretical last working day of the week promised lots of fun. I also had tickets for the theatre at 8 pm in Barcelona. It was a productive morning, though. No doubt, at midday I could even foresee that I would have some spare time before meeting my friends for the play, near Les Rambles. Conveniently enough, there was a presentation of a new brewpub at 6 pm just near there. Impressive to see how beer-related businesses have been growing in l’Eixample lately. So, here we are. It was 4 months ago that I wrote Jay and Stan suggesting a topic for a future call. 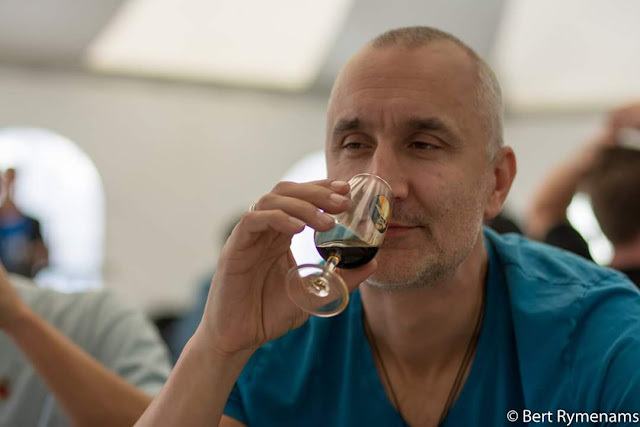 I was reflecting on the role played by Beer Festivals (or "Beer Fairs", as we locally call the ones with the brewers serving their own beer) here in Barcelona and thought it would be interesting to know other people's point of view on the matter. Time's flown since then, and now I find myself happily hosting my first Session. But let's get to it.